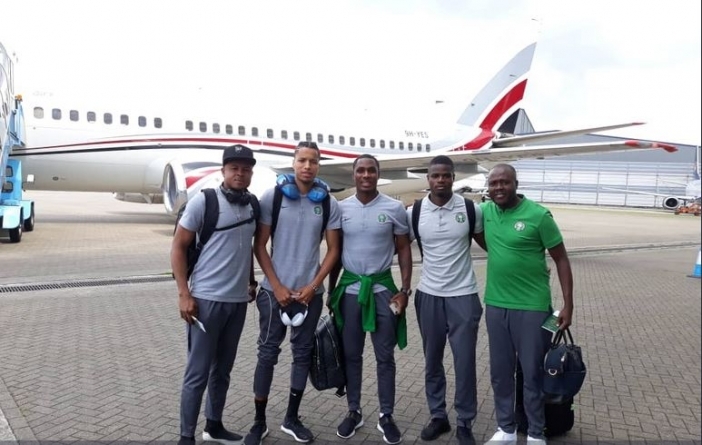 Nigeria’s delegation to Tuesday’s 2019 Africa Cup of Nations qualifying match between the Super Eagles and the Mediterranean Knights of Libya landed safely in the Tunisian city of Sfax on Monday evening. The Max Air aircraft that took off from Uyo and had a stop –over in Kano to refuel touched down at the Sfax Airport at 4pm Tunisia time (same as Nigeria) and the players and team officials immediately headed to their Zeitouna Hotel abode for a short rest before the official training session. The delegation, led by NFF 1st Vice President, Seyi Akinwunmi, also included 2nd Vice President Shehu Dikko and Executive Board members Ibrahim Musa Gusau, Yusuf Ahmed ‘Fresh’ and Emmanuel Ibah. 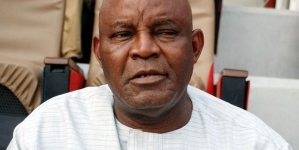 There were also immediate past NFF President, Aminu Maigari, former top official of the Youth and Sports Ministry, Abba Abdullahi Yola (also Chairman of the NFF Technical Study Group), Mainasara Illo and some members of NFF Management led by the Director of Competitions, Ayobola Oyeyode. 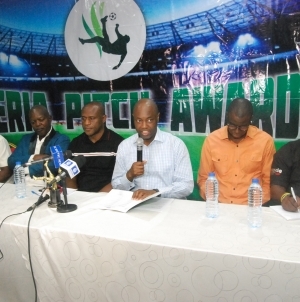 A couple of Members of the NFF Congress, some NFF Staff, a few representatives of the media and some members of the Nigeria Football Supporters Club were also on board. The three –time African champions, 4-0 winners of the first leg encounter in Uyo on Saturday, trained for one hour at the Stade Taïeb Mhiri ahead of Tuesday’s big clash. 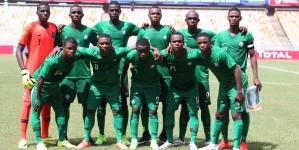 A win for Nigeria on Tuesday would take the Super Eagles much closer to a place at the 2019 AFCON finals to be staged in Cameroon, and the words of leader of delegation Seyi Akinwunmi was ringing in the players’ ears as they trained. “We have come here determined to pick the three points at stake and make the road much smoother for us towards Cameroon 2019. The players did a great job in Uyo on Saturday and all they need is step up a gear here and amass another three points. Nigeria lie second on the Group E table with six points, one less than leaders South Africa, ahead of Tuesday’s Matchday 4 battles. South Africa are also away, to Seychelles in Mahe Island on Tuesday.